Marketing & Sales Automation - Leads, Target, Campaign, DMS, MIS. Track open and closed opportunities for the Year/Quarter/Month. Maintain year over year or month over month closing trends. Understand and manage your inbound lead flow. We know that Contacts are actually about relationships. Contact fragmentation causes unproductivity. EdifyBiz presents Contact Management, a database of contacts and clients organized in an easy accessible manner, to be accessed anytime and anywhere. Contacts may include intra-organizational contact details that include Customers, Supplier, Associates, Contractors, Agents and Business Contact Details – B2B or B2C. TELL the right to SELL the right ! A good business is the one that has a smooth hurdle-free one point center to answer all incoming inquires… after all inquiries bring business! Edifybiz has Inquiry Module that enables any business house to satisfactorily answer all inquiries of their clients. Right words and rights numbers reach the clients through an effective Quotation Module, where in the prices and quotations are sorted category wise and can be accessed without any interference or misinterpretation, leaving no possibility for miscommunication. Product presentation with prudence ! All your product details are just a click away. Easy accessibility to product profile, categorization and price trends always keeps you and your staff updated enhancing company’s relationship with clients and suppliers. EdifyBiz CRM updates your sales and marketing staff on the latest discounts, special offers, seasonal/festive discounts and schemes associated with your product. It also keeps track of what products are sold to which client, which helps you maintain customer satisfaction and gain loyalty. You don’t just profit from EdifyBiz, you GAIN! Just one click opens up the entire intra-organisational statistics, evaluates business opportunities and processes data and collected information through detailed INFO-GRAPHICS Representations. Empowering sales ! Empowering Growth ! Sales team can perform productively only in an information fed scenario. Only when the sales team works on a definite timeline of work, can they bring out desired output. Pre-sales Timeline Management Module of EdifyBiz is an innovative centralized repository of detailed layout of info-graphical information structure. Company information, pre-sale research, follow up plan, schedule chart, minutes of meetings, proposals and every possible information is well fed in the module that enables the sales team to follow a stringent work pattern and has details on their fingertip. Analytical Approach … Road to betterment ! A business thrives on its sales team, target achievements and outstanding performance of the marketing and sales personnel. EdifyBiz helps you to track the same in the most effective way. 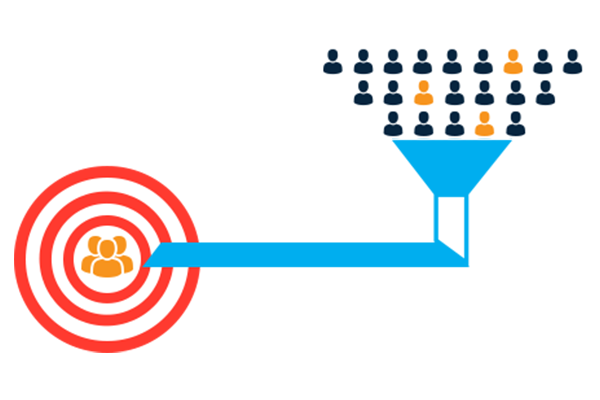 EdifyBiz enables the company in assigning targets, keeping a track of how close the team is to the target and then a detailed analysis of the working pattern of the teams individually and collectively; thus accelerating the productive workforce in a profitable way. Business tours made easy ! Business trips, sales tours, visits by marketing team or be it any other kind of tour related to the company, now it’s easy to have a control, check and watch on the entire tour plan and its expenses with EdifyBiz. Our Tour manager module sets every detail of tour from scheduling to assigning targets of the tour to recording of expenses to expense integration into accounts. The module also keeps a track of sales order booking and does the overall structuring of the tour with productive objectives. EdifyBiz CRM’s GPS Mobile Tracking feature enables you to keep a track on the movement of your sales executive/employees, whenever and wherever required through Employee real time location tracking. All these features keep you in constant touch with your people. EdifyBiz CRM also provides you with Previous date locations log, through which you can never miss any important movement of your people. Bring Order to Chaos ! EdifyBiz’s Task Management Module helps you to manage your time and resources. It increases Team Collaboration and productivity. Create tasks, assign tasks, delegate and prioritise your to do list. Ensure that you miss nothing. EdifyBiz helps you to monitor and manage your workload and workforce. Dashboard gives you the snapshot of your workday.